The exhibition will begin tomorrow and Ranking Road will be present in full force to assert his position as Europe’s leading G-Local Digital Partner : “we think globally and act locally”. 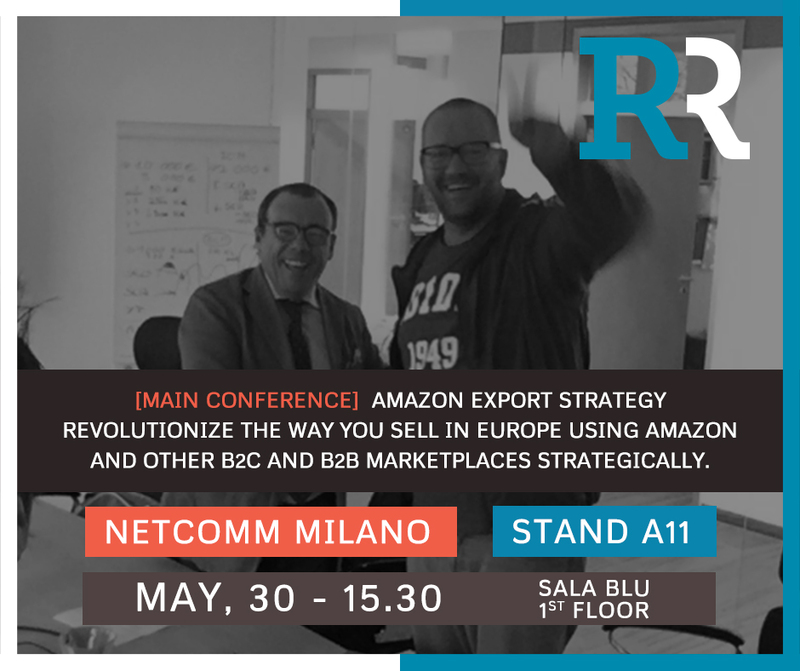 Antonio Borri ( Director Ranking Road Italy) and Ralf Zmölnig (Director Ranking Road Germany) will speak about the Amazon Export Strategy from 3.30 pm to 4.00 pm. This will be a great chance to discover the most important Marketplace in Europe and to implement your digital export strategy actively. This is only an abstract of what you’ll listen to, so don’t miss the chance to participate to this Amazing Workshop on 30th May at 3.30 pm in the Blue Room 1st Floor of the MiCo Milan. Don’t miss the chance to meet the experts who make Ranking Road the first G-Local Digital Partner in Europe, a great opportunity to talk about your international visibility with international experts committed to the performances of their market. We work with our clients to create innovative, brand-leading digital marketing campaigns for commercial success.